Before marriage Zoe worked as chief cashier at Martins Bank in Stafford ( Manager Mr Cripwell). During her marriage Zoe worked for The Office of Population Census and Surveys as a freelance interviewer. She also volunteered as the treasurer of the Family Planning Association. She also studied with the Open University for a Humanities degree, taking an interest in art history and literature a life long interest. Zoe has always taken voluntary positions to help in the community. Zoe moved to London in 1983 to live with her parents at Colherne Court, London, SW5 she later moved to a flat in Eardley Crescent, Earl's Court, London. She met John A Ainsworth in 1989, They lived together as partners in Ealing W5 until 2000 when they married. They both became Quaker attenders in 1990. They are happily married and now live in Somerset. John has a son and a daughter from his previous marriage and five grandchildren. 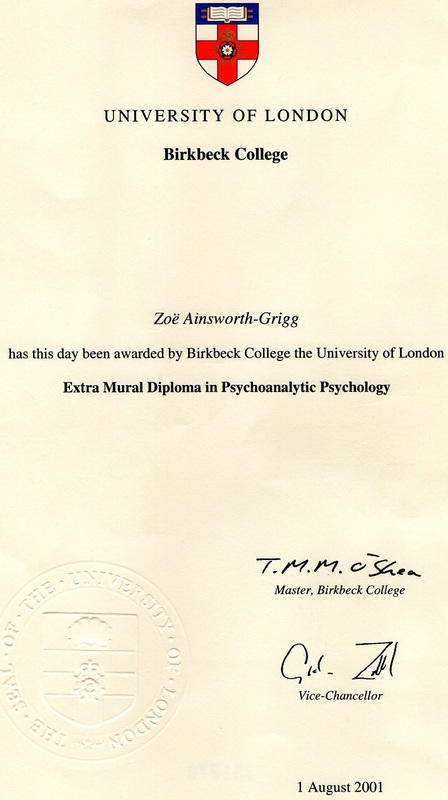 Zoe worked in London on a temping basis at The Science Museum, and The British Medical Association ( 1 year), before a permanent job in the Central Office of Information where she worked for nine years. 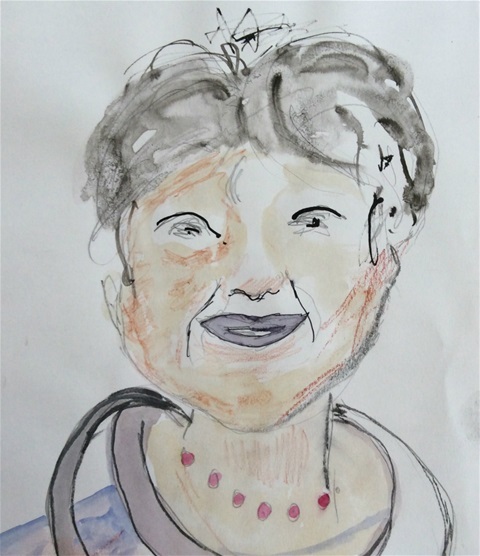 She retired from there on medical grounds having had an invasive operation on her left shoulder which caused massive pain issues. 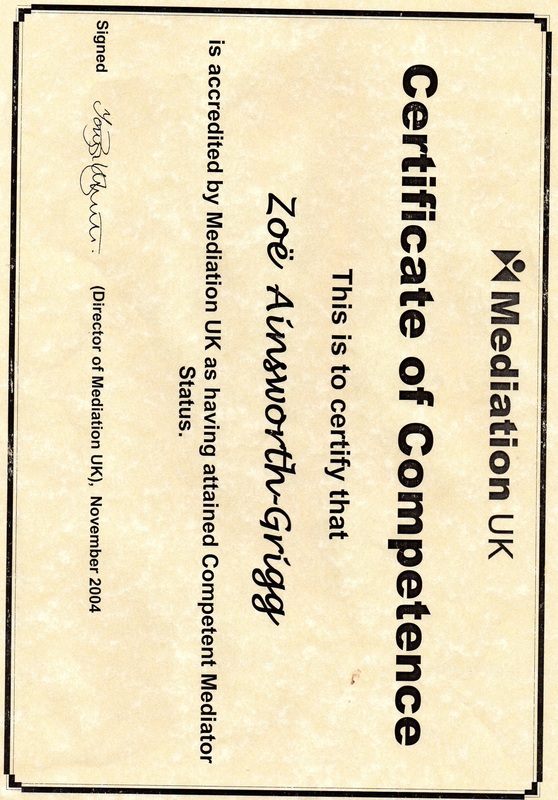 During this time Zoe still volunteered as a neighbourhood mediator. She and her husband then retired to Somerset in 2002 and she then worked for Mediation Somerset in the office and also as a mediator. During her lifetime Zoe has been a prolific writer and artist. 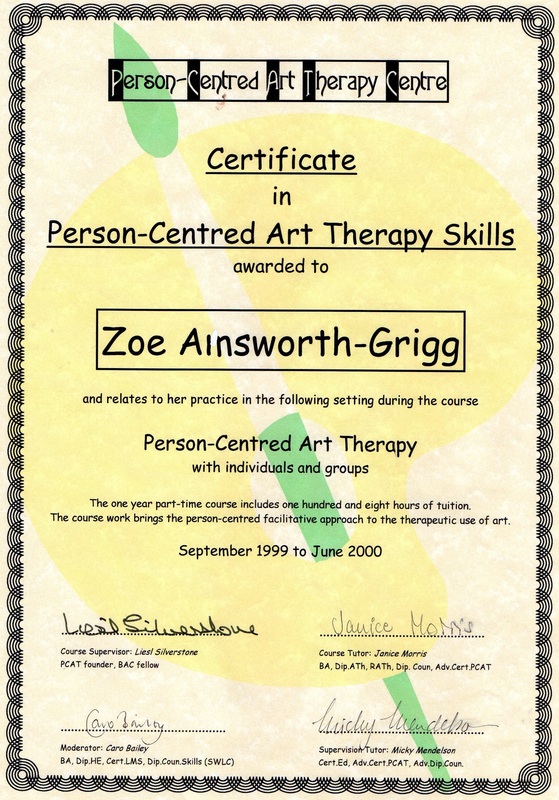 She qualified in PC ArtTherapyskills. 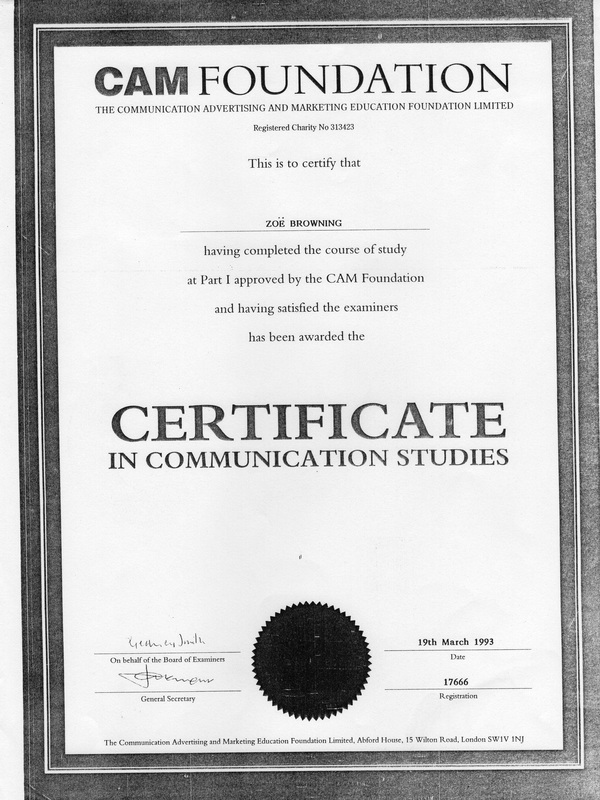 and also took a Diploma with the University of London in Psychoanalytic Psychology. Zoe still tries to support community organisations on a voluntary basis and enjoys her art work. www.purplefieldproductions.com raising circa £20000 of much needed seed money. Latterly she has raised circa £2000 for Taunton Library and has invested in CICCIC Taunton in a bond. John and Zoe are members of the Green Party and work for a greener planet to combat climate change. They also support Grandparents for a safe earth.